All living things in an ecosystem are called Organisms. Organisms include both plants and animals. For example , caribou, rabbits, mosquitoes, birch trees and fungus are all organisms. The place where an organism lives is called it's habitat. Another name for habitat is home. Our environment consists of both living and non-living things. The non-living parts of our environment are called Abiotic. The living parts ( or parts that were once living but are now dead) are called Biotic. * Remember the difference between dead and non-living. Something that is dead was living at some time (biotic). Something that is non-living never was or never will be living. Ecosystems can be many different sizes (Big or small). Large ecosystems may contain small ecosystems. Examples: forest ecosystem(big) may contain a rotting log ecosystem (small). 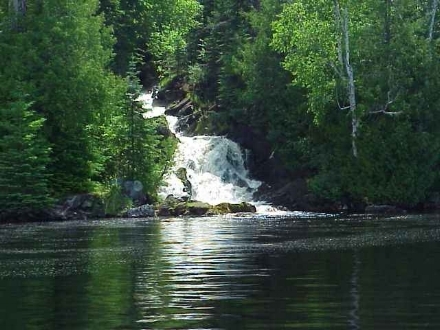 There are 4 main ecosystems in Newfoundland and Labrador. The main ecosystem of Newfoundland and Labrador. 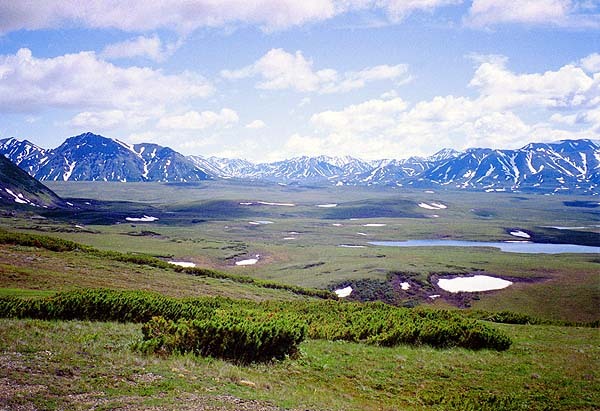 It includes soil, various trees, such as spruce, birch, and fir, and animals such as moose, rabbits and bears. This ecosystem covers most of Newfoundland and Labrador. Atlantic Canada has many areas of coastline. Along the coastline there are many organisms adapted for survival on the sea shore. Organisms such as mussels, seaweed, and crabs are able to attach themselves to rocks and avoid being washed away by the waves. It is very windy on the sea shore and because the wind usually blows in off the water, the trees which grow there such as spruce or larch are often “slanted” and tilted. Further offshore there is a larger salt water ecosystems which has cold temperatures, moving currents and little light at deeper depths. It includes different animals/mammals such as cod, seals, and whales. Most of Atlantic Canada is covered with ponds and lakes. Most of the water comes from rain or snow. Some of the organisms that live in the ecosystem includes trout, smelt, otters, ducks, and plants such as lily pads. 4.) Arctic. This ecosystem covers large areas in Northern Labrador. This ecosystem has very cold temperatures and very little precipitation and it’s kind of a “cold desert”. The ground in the Artic below 3 feet remains frozen even through the summer time it’s called permafrost. Because of this permafrost there is no large trees. Plant life consists only of very small bushes and shrubs. Animals living here include polar bears, Artic foxes and Artic hares. Ecosystems have two components or parts. There is an abiotic part and a biotic part. Sunlight - the amount of sunlight affects the types of plants growing in an area. For example at the bottom of deep lakes, sunlight can't reach so it is too dark for plants to grow. Temperature-many organisms need warm temperatures to survive.For example cold-blooded creatures such as snakes and lizards need warm temperatures to keep their body temperature high enough. Soil- The type of soil affects what plants and animals can live in the soil. For example worms cannot live in dry, sandy soil. All organisms are adapted to survive in certain abiotic conditions. if these conditions change, the organism could die. The range of conditions within which an organism can survive is called it's range of tolerance. For example some plants such as Pitcher Plant can only survive on wet bogs or marshland.Some organisms such as tropical fish can only survive if the water temperature is between 12 degrees and 28 degrees. Ecosystems include many different types of organisms. Organisms are all members of a species. Species. A group of organisms that can reproduce successfully to produce offspring that can also reproduce. Each member of a species is called an individual. A group of individuals are called a population( remember population only refers to members of the same species.) If there are populations of different species, this makes a community.For example all the frogs, dragonflies, lily pads, mosquitos and fish etc in a pond makes up a community. All of these different species, and the abiotic parts of the environment, make an Ecosystem. Each species in a community eats different foods, live in different places, and interact with their environment in different ways. These "roles" that a species play in an ecosystem are called the niche of the species.For example a squirrel's niche is living in a tree and eating nuts and being eaten by eagles and pine martins.